When I was young, I drove with some family friends north from Manila to see the mountain retreat of Baguio. During the drive I noticed three small tornadoes swirling across the vast paddy fields. They were apparently too harmless to do any major damage, and a common occurrence in those parts. Yet I remember being completely enamored. To me, that trio of funnels was magnificent. This was the Philippines of my childhood: a verdant land full of epic surprises. It’s where my grandfather took me on a wooden boat down the river to see monkeys swinging from tree to tree along the banks, and where the tides slurped the sea so far out, I could walk a quarter of a mile from shore harvesting sea urchins and shelled mollusks from tide pools. Yet there’s still so much more. Travelers can be forgiven for worrying about the government’s brutal crackdown on drugs, and the occasional militant skirmishes in remote areas. But keep in mind the archipelago is huge: more than 7,000 islands, and more than 100 million people. You’ll have no cause for worry if you travel smartly. If you do, you’ll find a paradise -- or perhaps thousands of them, with lifetimes’ worth of cerulean waters interspersed with impressive volcanoes, majestic falls, old Spanish towns, and bustling cities. In between, there are many oddities and curiosities to be discovered: hanging coffins, submerged cemeteries, and python massages alongside weird-yet-adorable looking primates that tickle your heart. No one can possibly explore all these wonders. 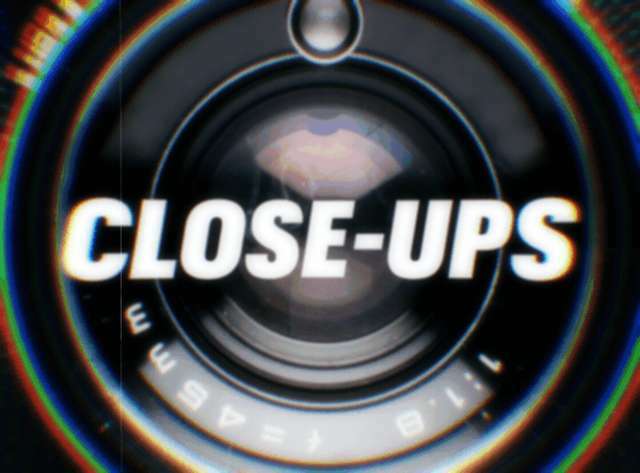 But here’s where you can start. Picture a perfect-symmetrical, cone-shaped, cloud-topped volcano overlooking a lush countryside. 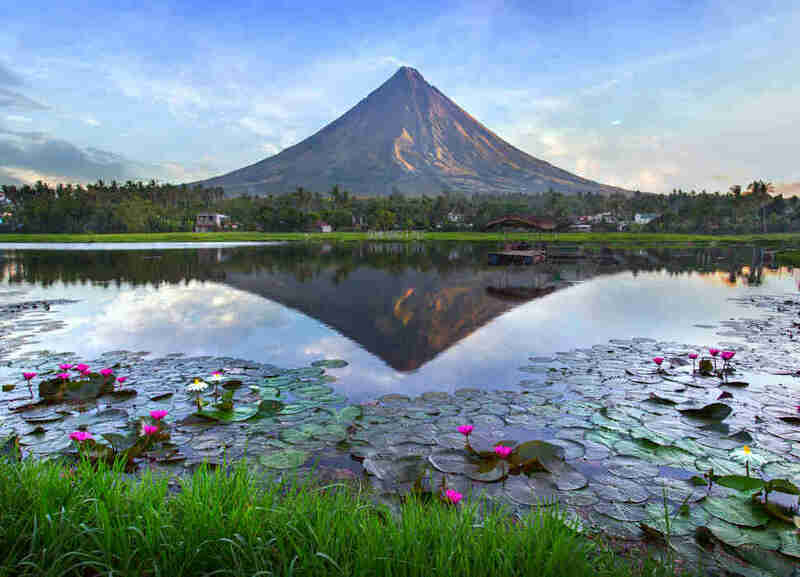 That pastoral image does not need a sales pitch, and neither does Mayon Volcano. This stratovolcano in the province of Albay might be notorious for its devastating eruptions, but it’s also legendary for its breathtaking beauty. A two-day trek to the peak might be in order if you’re feeling particularly adventurous. 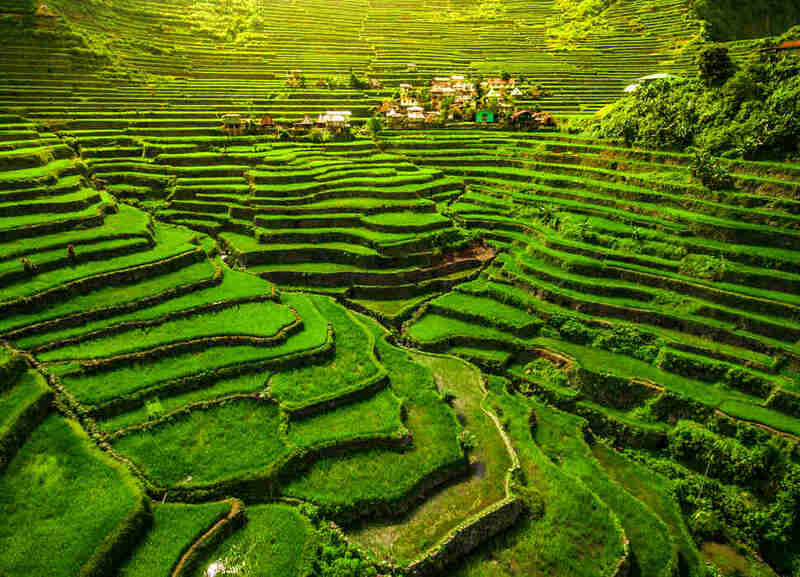 Getting to these remote marvels in the mountain village of Batad is an epic undertaking, with the rice terraces themselves as your reward. In October, when it’s at its lushest, this UNESCO World Heritage Site can be accessed only by taking the muddiest 15-minute hike of your life. Invest in good trekking poles, and keep at it: The view at the end is simply breathtaking. 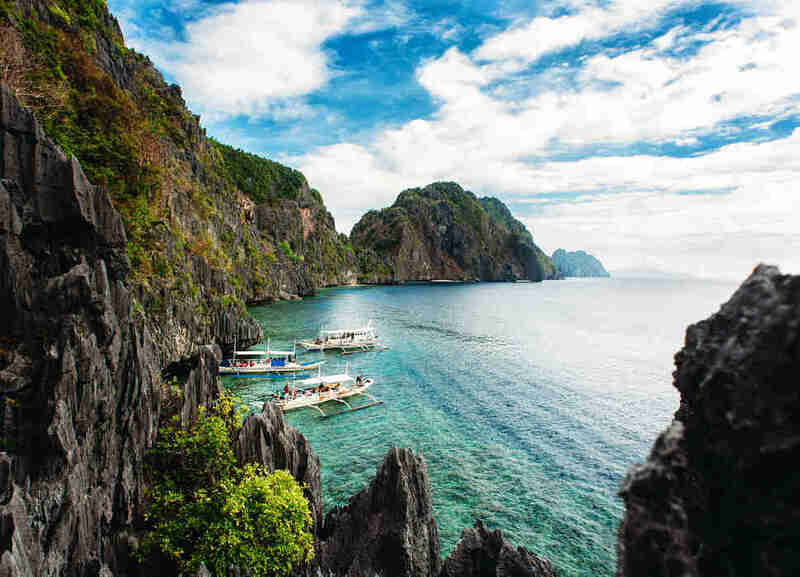 You can hardly be blamed for staying in El Nido -- better known to sun worshippers and water enthusiasts as heaven -- longer than you’d intended. 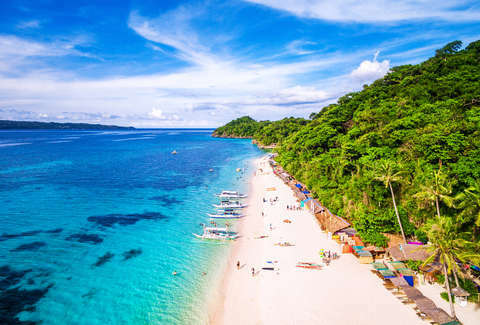 The small town in the province of Palawan may not be easy to get to, but its beaches are often cited among the world’s best, and its karsts hide secret coves and majestic lagoons. For all this, you can endure a few hours’ drive in a cramped van. 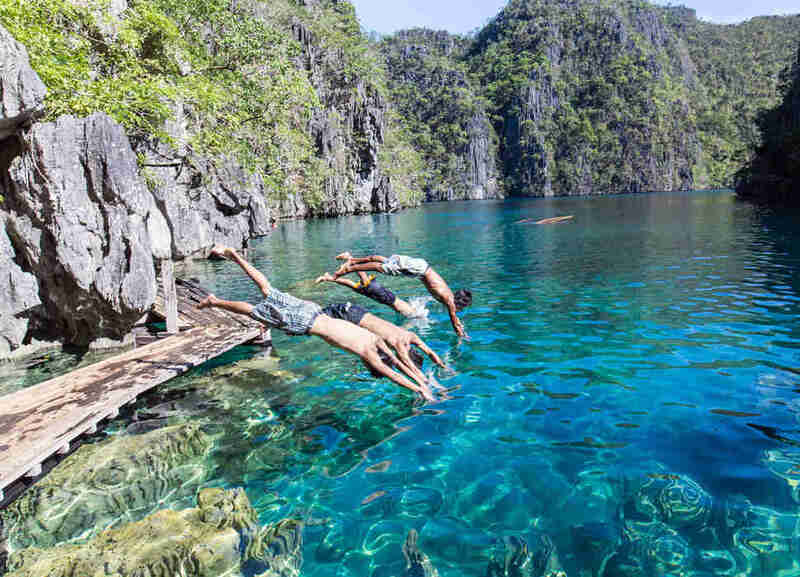 A few hours’ ferry ride from El Nido is Coron, which boasts delights that set it apart from its more popular neighbor: spectacular lakes, its legendary Japanese cargo wreck dive, and its sleepy town vibe. It may be another tedious journey, but it likewise is well worth your efforts. This natural park legendary for its rich, untamed reefs and islands might strike you as a junior-sized Great Barrier Reef. More than 1,000 marine species take refuge in its reefs, making it one of the finest, most indulgent dive sites on the planet. 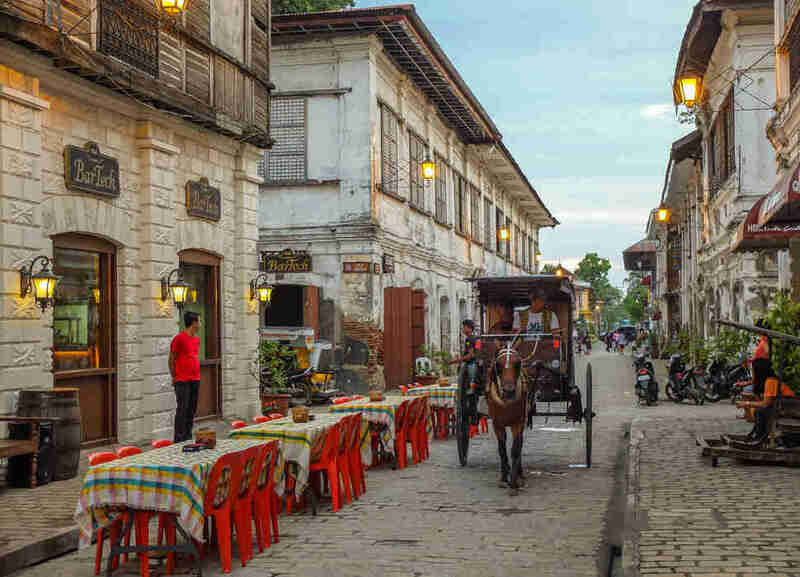 The most beautifully preserved remnant of the Spanish occupation, Vigan rocks exquisite colonial houses, with arched doorways leading into museums and private homes. Old-fashioned hanging street lamps hover above the kalesas (horse-drawn carriages) that still clop along the stone streets. 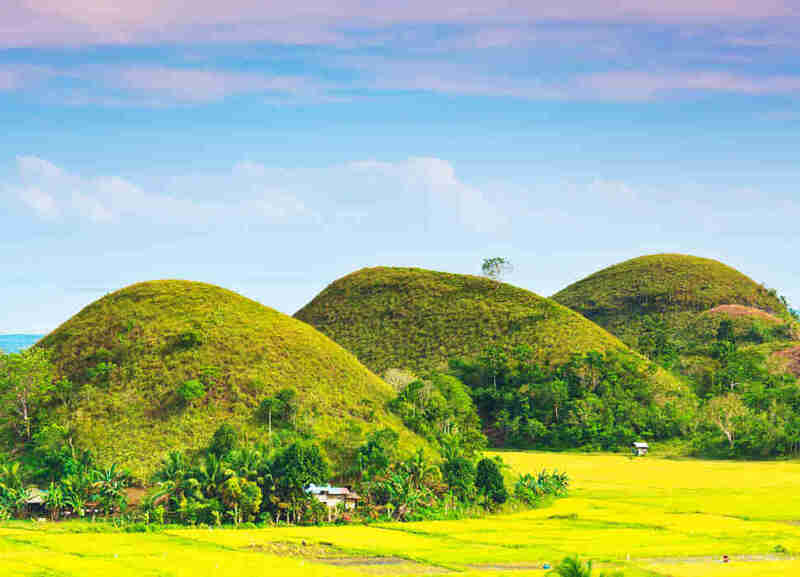 As many as 1,700 100-foot mounds -- lush and green in the rainy months, chocolate brown in the dry months (thus the name) -- are scattered clumsily around a 20-square-mile section of central Bohol. The Chocolate Hills are one of the Philippines’ most iconic landscape formations, and there’s very little not to love about them. While on Bohol, carve out some time to visit the adorable endangered tarsiers. 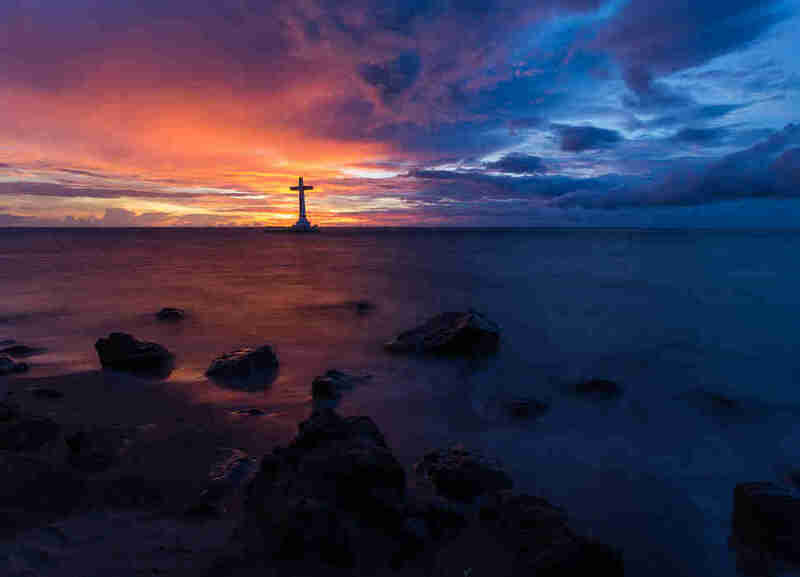 The fourth-largest island in the Philippines, it turns out, is a bonanza of natural treasures. 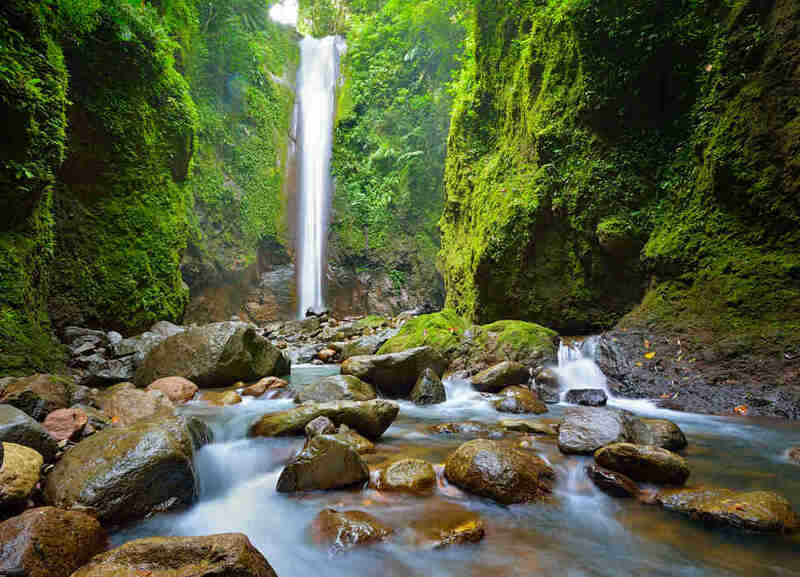 Known for its sugarcane plantations, Negros is a great place to blaze your own trail. Exquisite vernacular homes speckle its cities, excellent diving spots draw divers to its shores, stratovolcano Kanlaon calls out to climbers, and the vibrant MassKara Festival lures in the crowds. One of the world’s smallest active volcanoes is simply an astounding spot. 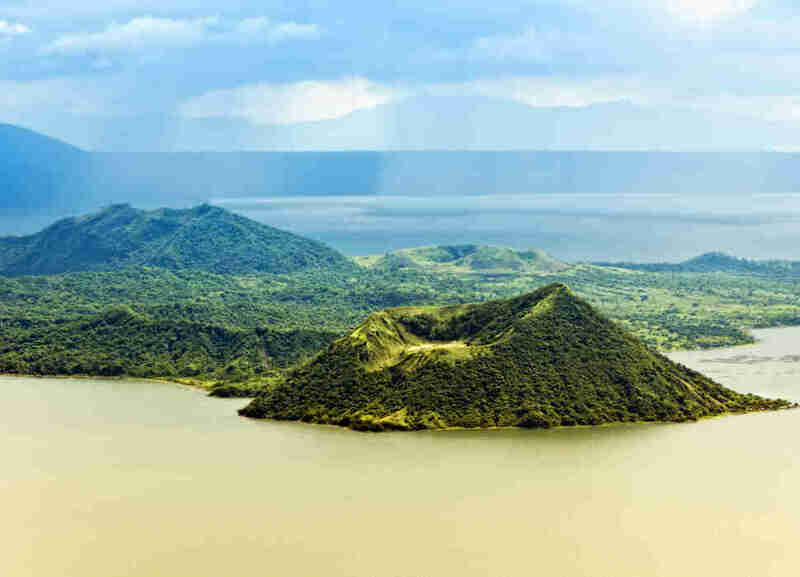 Just south of the resort region of Tagaytay, this 1,020-foot-tall wonder -- one of the deadliest volcanoes in the country -- is nestled right in the middle of Taal Lake. Hike to its rim, where you can see its emerald center. Its long history of witchcraft only amplifies the island’s appeal to visitors. Spanish colonizers called it Isla del Fuego, and it’s indeed lit: gorgeous waterfalls, wild beaches, and a butterfly sanctuary. A visit with a local “spiritual healer” might just add a fantastical twist to your trip. It’s hard not to have mixed feelings about Boracay. The resort island, famous the world over, has been battered by local and international tourists for years. Yet its attraction remains evident: postcard-perfect white sand beaches, reef-protected waters ideal for water sports, and excellent dive spots. A cosseting beach break is certainly in order, and at night, a bit of excess drinking. If a party vacation is your thing, this island is a great match. 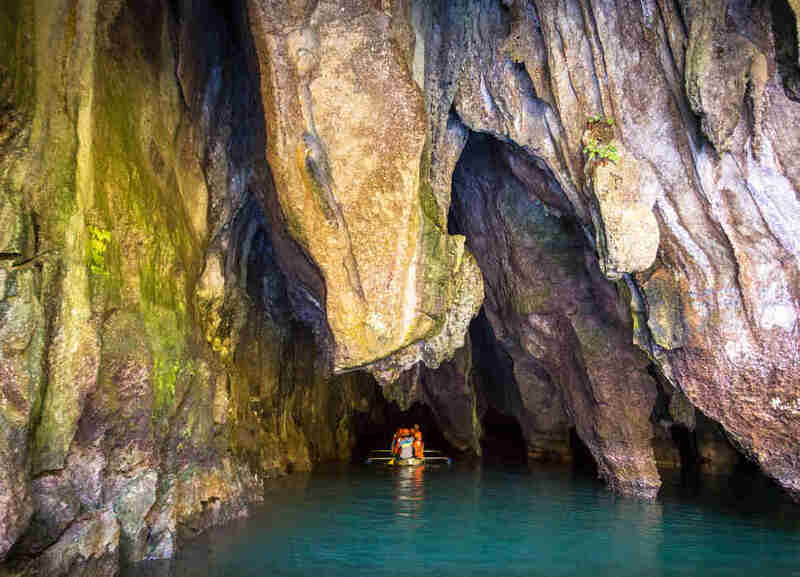 The jewel of Palawan’s capital, Puerto Princesa is a 5-mile-long subterranean river, hidden inside St. Paul’s Underground River Cave. Get a guided tour to explore the stalactites, stalagmites, and herculean chambers. 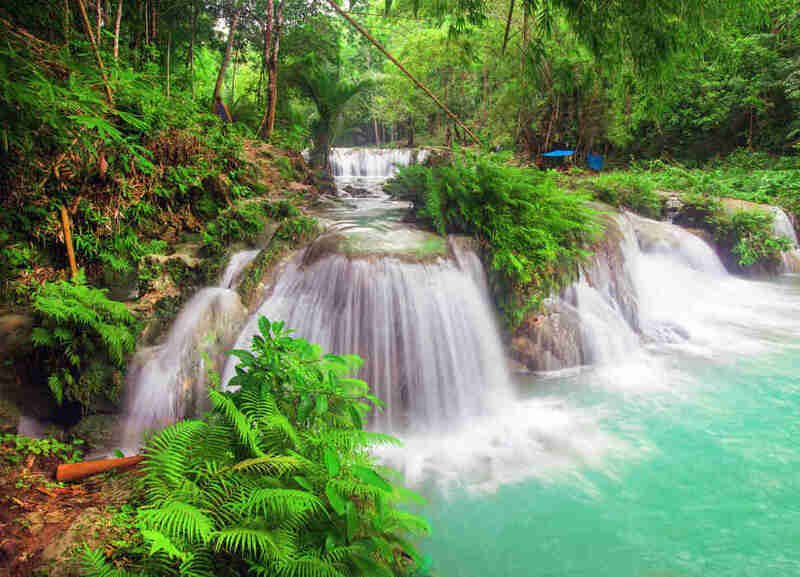 Filipinos know and love this destination for its verdant forests and hot springs alongside waterfalls and beaches. 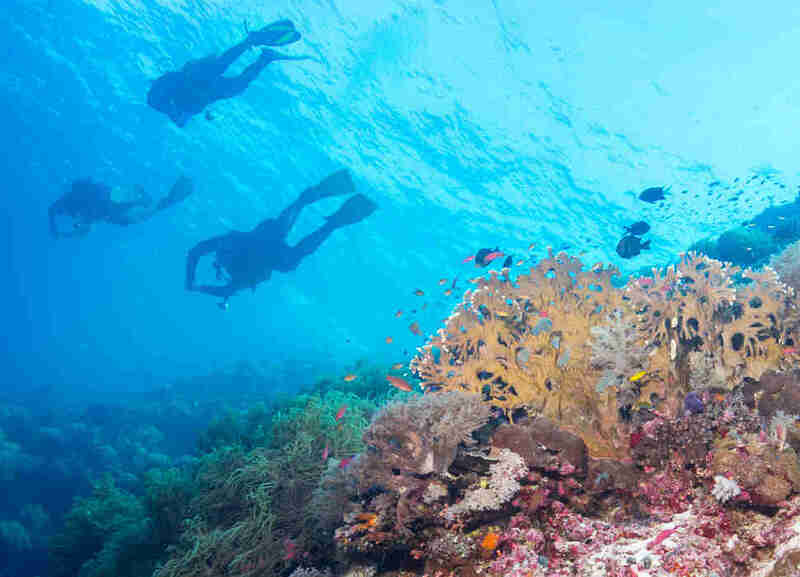 Its most notable sight is the Sunken Cemetery, a prime spot for in-the-know divers and snorkelers. 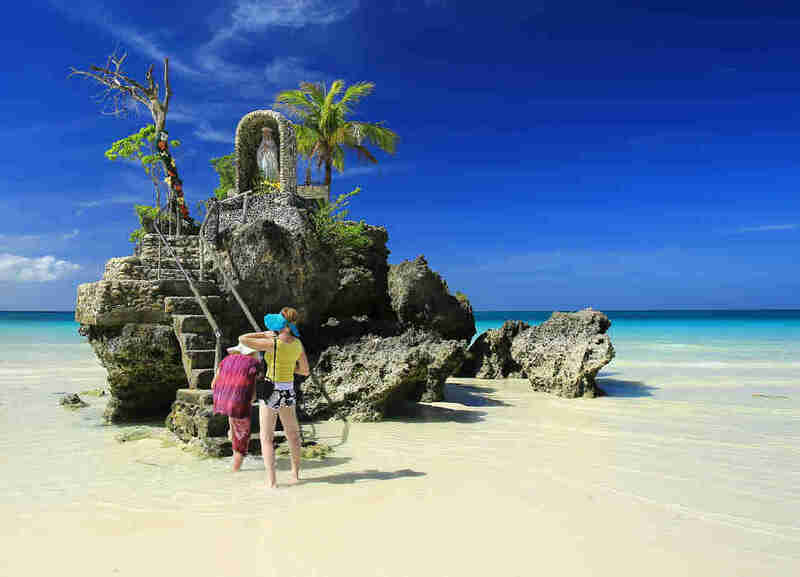 There are many ways to do Cebu -- trek Mount Babag or Mount Kan-Irag, eat your weight in lechon, or just flop out on one of the white sand beaches. This island, home to one of the biggest cities in the Philippines, is a mix of urban and countryside. 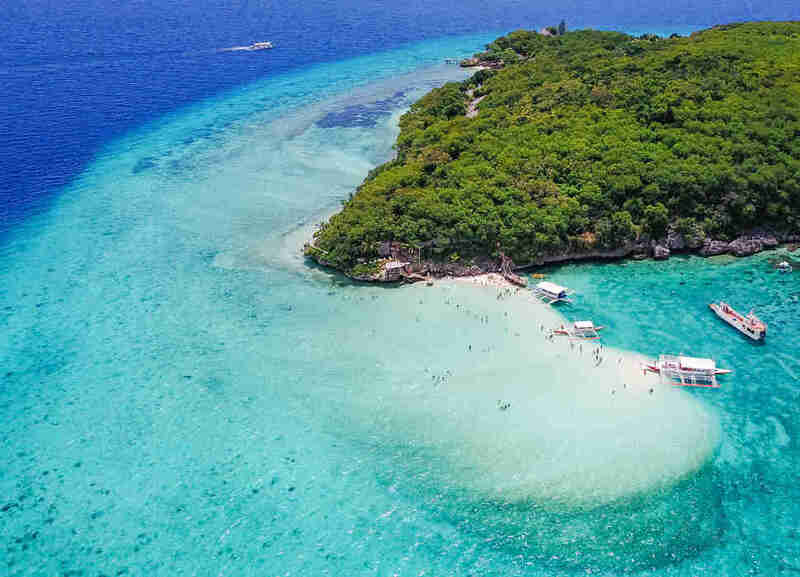 Go sunning or whale watching at Sumilon Island, indulge at a resort in Mactan, and rub elbows with rich, young Koreans looking to learn English in the city. Michelle is Los Angeles-based writer, editor, and photographer with a bad case of wanderlust. Her dream, next to traveling the world, is to own her own funky, boutique hotel with a small animal sanctuary so she can spend the rest of her days chilling with cats and hedgehogs. Follow her on Instagram.